The damage that overreaching can cause is very underestimated. For those of you who do not know what overreaching is, it is when a horse basically over-reaches its back toes and injures the foreleg, usually at the heel. Both in barefoot and shod horses, overreaching can cause major damage to the hoof from bruising to abrasions to lameness, and in severe cases may lead to an infection if not noticed or treated early. In shod horses, overreaching can also result in a loss of shoe. Forging (fig 1, 2 and 3) is very common with horses that work in fast tempo whether it is at a walk, trot, canter or gallop. Forging refers to a hind leg hitting the front leg. Speedicuts (fig 4, 5, 6) are caused visa versa where the front legs injure the hind legs. A simple and affordable way to avoid overreaching is to use some overreach boots (also called bell boots). Note: Make sure your boots touch the ground from the back of your horses hooves in order for the boot to be functional. Schockemohle Overreach boots in the image above can be found at Equestrian Solutions. 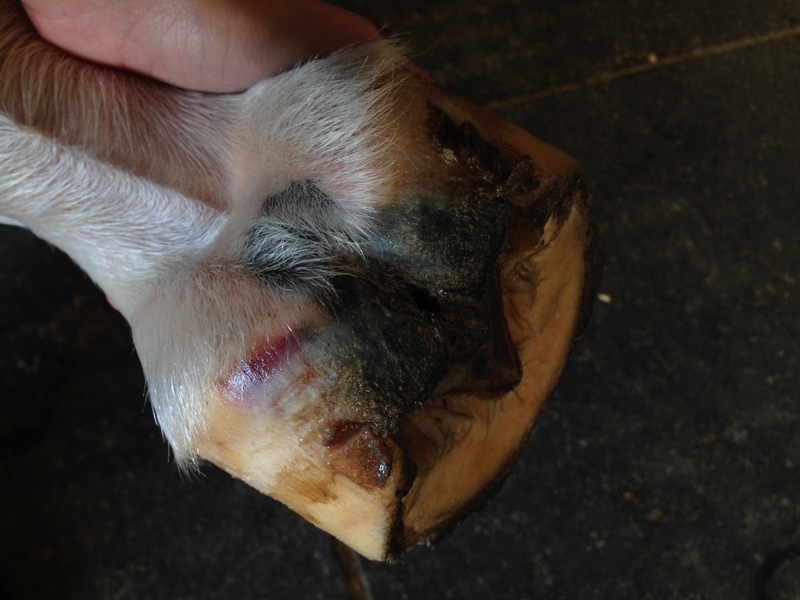 If your horses hoof got bruised then just keep an eye on it and avoid any contact to it. If there is a minor abrasion then apply antiseptic. If the wound is deep, i would suggest calling your vet to check wether it needs stitching. And finally, if your horse just pulled of their shoe, then avoid riding them until the farrier fixes it back on. 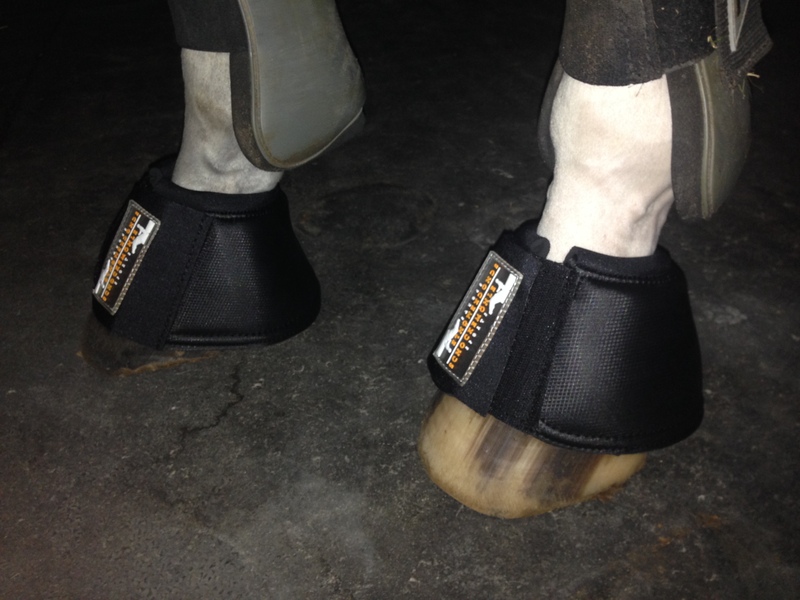 You can purchase a pair in almost all tack stores. Honestly speaking, from my experience, overreach boots never last long, especially if your horse does so often. Therefore, spending your money on a more expensive boot does not mean you will get the toughest and the most durable of them all. Some decently priced boots really do the job just as well. You may also send me a picture of your current bell boots if you are not sure they fit. I would be happy to check them for you if you need help.